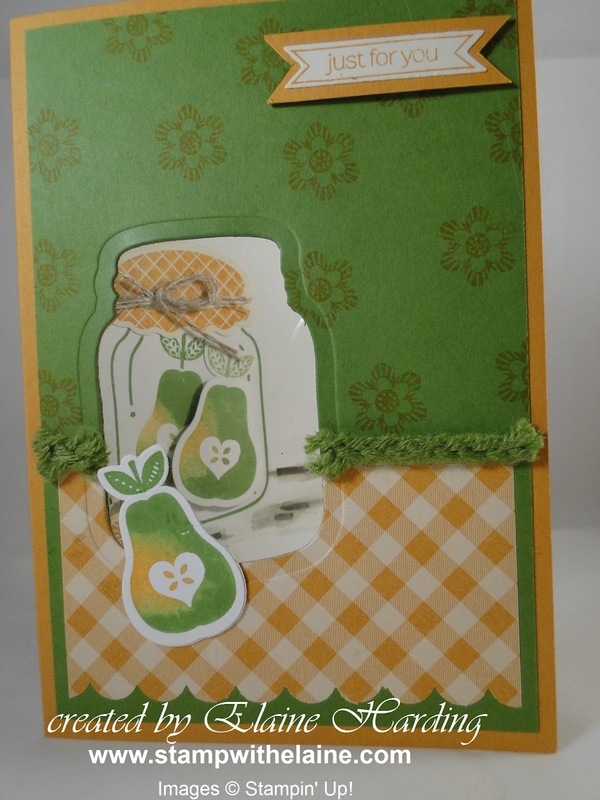 Lots of layers for this one, using one of the new 2012-2014 In Colors and of course the Orchard Harvest DSP. 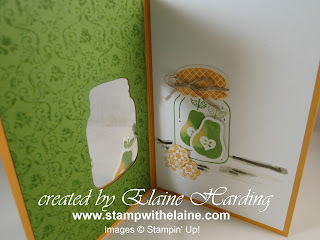 There is a little floral stamp too, and I used is as a background stamp. I used the Framelits Cannery dies to cut the jar aperture on 3 layers of card stock (not all at the same time), but singly, using the previous cut image as a template. On the reverse side of the card front I added another layer and stamped with the Parlor Prints background stamp. This piece sandwiches a square of window sheet so that when the card is closed, the window sheet makes the jar look as though its made of glass. The back panel of the card didn't escape attention either and was stamped with a stamp-a-majig to ensure that the image was visible through the jar window. For an update on the retirement list, please scroll down to next post.